Whether it’s a quick DIY tip for in the home or a course to upskill in your career, most Aussies will find themselves jumping online at some point to learn something new. In the first quarter of this year, Aussies aged 18-24 watched an average of 22 hours of video a month on desktops and laptops and 9 hours of video on smartphones and tablets. In a digital world, education opportunities continue to advance thanks to developments in technology. Technology developments on the NBN™ has led the way for an evolution in education throughout Australia. In a fast- moving and increasingly tech driven world, teachers are looking for innovative ways to drive engagement with their students. The ability to use digital tools, stream video content, and interact with students wirelessly has advanced thanks to the NBN™. A unified broadband network allows schools around the country to build a curriculum on a strong foundation and integrate new learning techniques through the use of devices such as tablets and laptops into the classroom. For institutions in under-resourced areas that may not have the funding or access to ideas and education tools, the NBN™ network means instant access to resources and concepts from around Australia and the rest of the world. The NBN™ also means access to a greater range of traditional education opportunities. For Australians living in remote areas, seeking new educational ideas and inspiration, or trying to fit their education around work commitments, students and teachers have an abundance of tools for home schooling, online tertiary courses, webinars, tests and even learning games. Mobile learning provides teachers and trainers with the ability to provide real-time interactive training to students using mobile devices. The Global mobile learning markets growth in recent years is clear from the expected increase from $7.98 billion in 2015 to $37.60 billion by 2020. 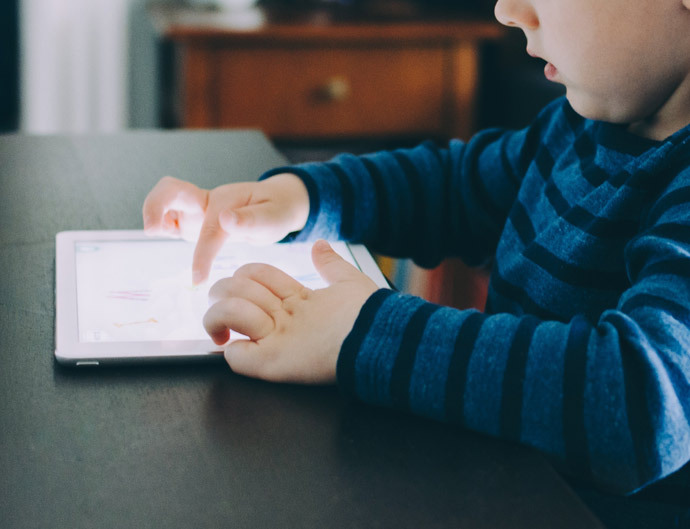 According to the nbn co ‘Digital Parenting Report’ 2016, 76% of parents surveyed believe that using the internet for homework, research or educational games helps to prepare children for the future. For rural kids and families, broadband is essential to access the education resources that are readily available to the rest of the nation. Thanks to NBN™ Sky Muster™ and Fixed Wireless network services, students in regional and rural Australia are able to use the faster internet speeds of the NBN™ to access online education tools and learning materials such as portals, instant messaging and video chat, and email access. In fact, for distance education students, who are living deep in the outback hundreds of kilometres from the closest school, a reliable, fast internet connection is vital to their learning. But that’s not all! High speed broadband is bringing forward an era of self-education and empowering Aussies to use online resources to develop their businesses, skills and hobbies with the global e-learning market expected to reach around $325 billion by 2025. Access to high speed internet has helped shape the Continuing Education landscape in Australia, moving away from the physical classroom and facilitating the move towards a virtual classroom. Aussies are looking to Continuing Education as an opportunity to enhance their understanding of areas outside their core career or to indulge in a course that supports their interests. As technology continues to improve the developments in education will also continue to improve. Thanks to the NBN™, Australia has been able to enhance the education opportunities available to all Aussies, especially those in rural and remote areas. What education opportunities have you been able to take part in thanks to the NBN™ network? I will leave NBN changeover till the last minute to see if they resolve the slow speed issues. You don’t pay a dealer for a Rolls Royce and accept delivery of a Mini-Minor. All my friends that have had to connect up are very angry with the loss of phone connectivity and slow speeds when on the internet. The Service Providers should be more strident on behalf of their customers to get better results. If only they had kept to the original FTTP instead of the FTTN that is the current roll out strategy. Copper wire is still a problem! Even though the fibre goes past my property, I cannot get connected. It is for new dwellings only. I wonder if Malcolm Turnbull is still considering the Cost Benefit Analysis. I suspect that it would not be a result in favour of the present way it has been rolled out. Where I live in Dianella, WA, the net speed is hopeless, and from what I here about the copper here, it is not likely to get better. My comments would be similar to those shown above. I have not had an increase in cost — nor have I had an increase in speed or usability despite being connected to the NBN for about nine months. Concerning to hear this has been your experience with the NBN, Richard. We would encourage getting in contact with our Support (13 22 58) team so we can run through some troubleshooting to ensure your connection is performing optimally. Before nbn I had no home Internet because ADSL wasn’t available in my area which is only 30 minutes from the CBS in Adelaide. The old IDSN gave me unreliable Internet. I now have reliable Internet and no longer have to go to the library to for Internet connection. My sister can afford satellite. Nbn not available.She is only 45 minutes from CBD. Since going to nbn my speed is one quarter the speed that I am paying for. Moving to iiNet was the worst decision I have made in years. Doesn’t sound quite right, John. Have you had the opportunity to raise the connection speeds with our Support (13 22 58) team? We’d like the chance to get this sorted for you. Have been connected to NBN for over 4 years and it is awesome. New connections may be a lottery driven by Turnbulls imperative of cheapness but the original concept is good. As most people will be still using there existing copper line in there street going to the nbn exchange meaning the max you will most probably get is 24mb download as copper can only take 24mb max which is why most people see no difference in there speed. Adsl 2 is much more srable with the same speeds achieved and not as prone to net congestion. I will stay with my adsl 2 for as long as i can. The worst thing since the sliced loaf! Internet no better. The phone is useless…fading,cutting out only one ring ALL old gear not compatible and it costs more than the old adsl/phone Costs more!!! We’d recommend giving our Support (13 22 58) line a buzz so we can investigate as it sounds like there is an issue here. Please let us know how you get on. I’ve been charged for a mobile phone service connection for sometime now which hasn’t worked from home. They tell me it is my old mobiles fault. Pity no one from Iinet didn’t enquire particularly when there was no usage. I recently purchased a new sim card thinking that may have been the problem.I have since purchased a new smartphone with another provider which actually works! Westnet morphing into Iinet hasn’t been all good. Concerning to hear this was your experience, Ron. We wish we had known earlier so we could have assisted with getting this sorted before you made the switch. Don’t hesitate to sing out if there is anything we can help out with in the future. Not good, Ajay. Better we get to the bottom of the connection issues you’re experiencing. Have you had the chance to raise with our Support (13 22 58) team? Running through some troubleshooting steps should assist with diagnosing any potential faults or issues that could be influencing your connection performance. We’ll also be in contact to notify you when NBN is available at your premises. Can one not connect when landlines are disconnected. What happens to the phone extensions to sheds, office, bedrooms, etc? We’d recommend making the switch to NBN prior to any copper disconnections in the area, Germaine. This will ensure there is no downtime and allow us the opportunity to run through any changes or concerns you may have. Promises have been made to me that NBN would be connected and this has not happened. I even offered to pay to have fibre to the house. I am constantly having problems with my telephone and internet. Service is unheard of. Not happy Jan! I have given up. All the public service taken over by investors are a mess i.e.. Aurora and NBN Telstra, Medibank will probably end up the same. Nbnco and ISPs can’t even agree as to whether it is available at my address. Long live ADSL. Our Support (13 22 58) team should be able to raise an investigation with NBN to confirm the serviceability of your address, Rodney. If you’re having trouble getting this sorted, we’d encourage requesting to speak with a Senior Representative during your next interaction. NBN Fibre 2 boost or is it BS. Not much improvement in speed. Max 10 Mbps. Whole day wasted with 0.2 Mbps and intermittent connection. How can anyone rely on this network for business purposes. Best to raise this with our Support (13 22 58) team for investigation, Paul. We’d like to run through some troubleshooting to ensure the connection is performing optimally and run through some options available. Appreciate the feedback, Barry. We’re always looking at ways in which we can improve on our products and services. We will be sure to let you know should a new range of NBN plans be released that may better suit your needs. I have ADSL2+ and about 4 miles of copper wire to little country exchange. This gives me 10mbs (+ or -)which is OK. Sometimes it drops drastically which must be the net itself – overload or bad connection. I have Fixed Wireless option but have resisted, as it only offers 10mbs. It seems to me FTTN should be sufficient – much less copper than I have is needed, if the NET is adequate.